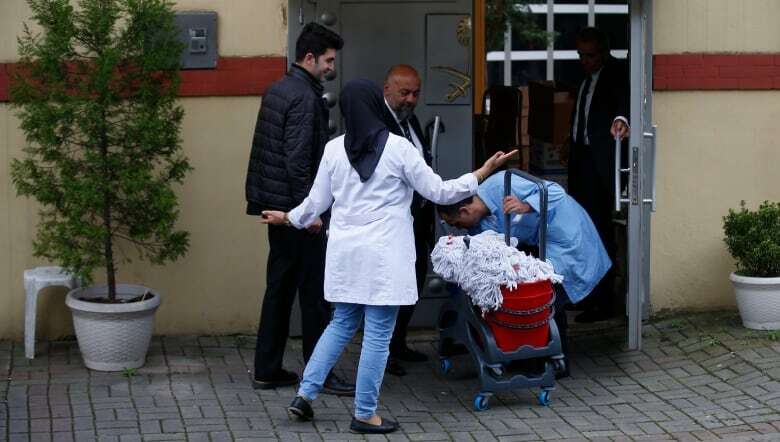 A team of investigators entered the Saudi Consulate in Istanbul for what Turkish officials called a joint inspection of the building where Saudi journalist Jamal Khashoggi disappeared nearly two weeks ago. International concern continues to grow over the writer's Oct. 2 disappearance. 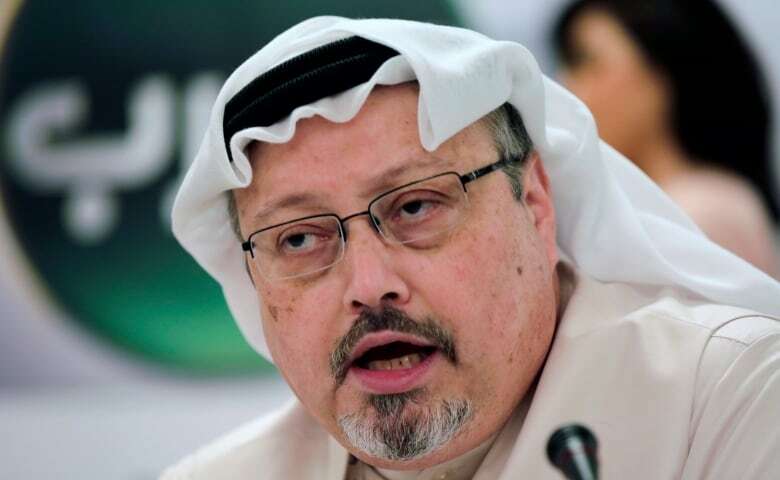 U.S. lawmakers have threatened tough punitive action against the Saudis, and Germany, France and Britain have jointly called for a "credible investigation" into Khashoggi's disappearance. 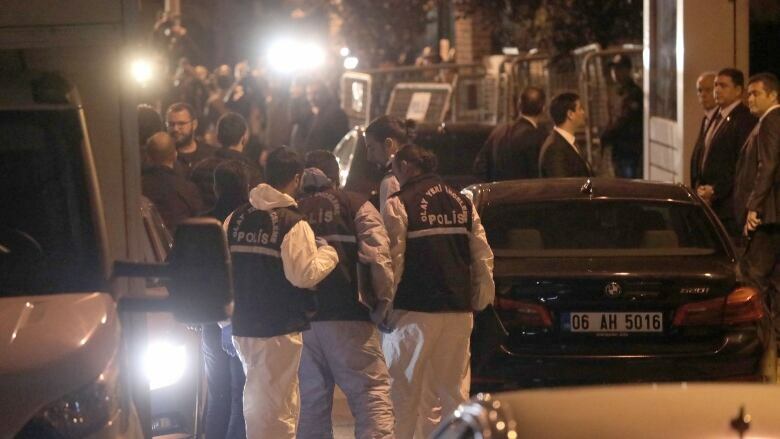 A Turkish Foreign Ministry official had earlier said the team would visit the diplomatic post Monday. The official spoke on condition of anonymity in line with government regulations. Officials in Saudi Arabia did not immediately respond to a request for comment. Turkish officials have said they fear a Saudi hit team killed and dismembered Khashoggi, who wrote critically of Saudi Crown Prince Mohammed bin Salman. The kingdom has called such allegations "baseless," but has not offered any evidence Khashoggi ever left the consulate. The search is an extraordinary development, as embassies and consulates under the Vienna Convention are technically foreign soil and must be protected by host nations. Saudi Arabia may have agreed to the search in order to appease its Western allies and the international community. Foreign Minister Chrystia Freeland said on Twitter late Sunday that "Canada strongly supports our allies on this important issue." On Monday, Freeland said Canada remains "very troubled" by the case. She called for a thorough, credible, and transparent investigation into the allegations about. Khashoggi's disappearance. Meanwhile, Saudi Arabia's King Salman has ordered the kingdom's public prosecutor to open an internal investigation into the Khashoggi case, a Saudi official told Reuters on Monday. U.S. President Donald Trump has said Saudi Arabia could face "severe punishment" if it was proven it was involved in Khashoggi's disappearance. Writing on Twitter on Monday, Trump said he had spoken with King Salman, "who denies any knowledge" of what happened to Khashoggi. "It sounded to me like maybe there could have been rogue killers. Who knows?" Trump told reporters later on Monday outside the White House. He offered no evidence about why he thought rogue killers might be involved. 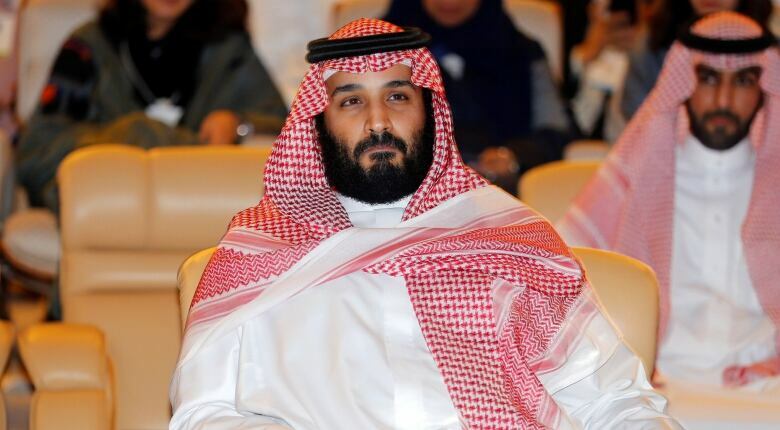 On Sunday, Saudi Arabia warned that if it "receives any action, it will respond with greater action, and that the kingdom's economy has an influential and vital role in the global economy. Late Sunday, King Salman spoke by telephone with Turkish President Recep Tayyip Erdogan about Khashoggi. Turkey said Erdogan "stressed the forming of a joint working group to probe the case." Saudi Arabia, meanwhile, said King Salman thanked Erdogan "for welcoming the kingdom's proposal" for forming the working group. Prince Mohammed, King Salman's son, has aggressively pitched the kingdom as a destination for foreign investment. But Khashoggi's disappearance has led several business leaders and media outlets to back out of the upcoming investment conference in Riyadh called the Future Investment Initiative. On Monday, more companies announced they wouldn't be attending the summit, including Google Cloud chief executive Diane Greene. The Saudi stock exchange, only months earlier viewed as a darling of frontier investors, plunged as much as seven per cent at one point Sunday before closing down over four per cent. Concerns appeared to spread Monday to Japan's SoftBank, which has invested tens of billions of dollars of Saudi government funds. SoftBank was down over seven per cent in trading on Tokyo's stock exchange.